While there were plenty of folks holding their breath and expecting an elaborate April Fools ruse, Guns ‘N Roses have officially taken the stage at the Troubadour in West Hollywood tonight. The band announced a secret show earlier today. 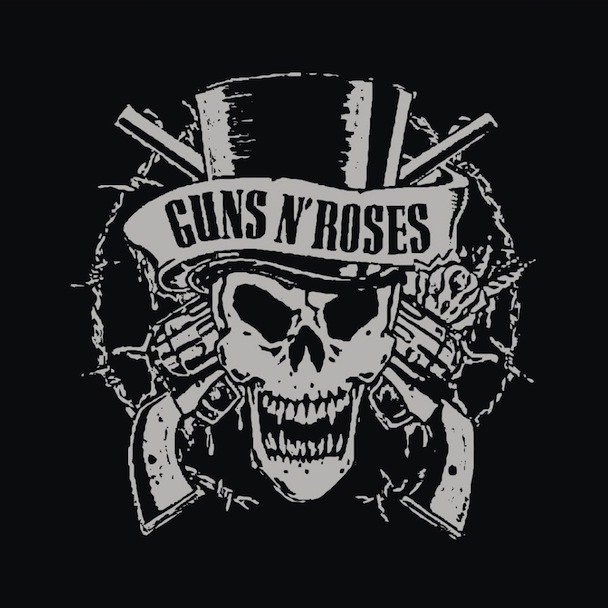 According to Blabbermouth, the lineup of the show features Axl Rose on lead vocals, Slash on lead guitar, Duff McKagan on bass, Richard Fortus on guitar, Dizzy Reed on keyboards and Frank Ferrer on drums. Absent from the lineup are Chris Pitman and Tommy Stinson, who were both members of the band prior to the “original lineup” reunion (which does not include founding members Izzy Stradlin and Steve Adler). Rumors have abounded about the potential lineup of this Guns ‘N Roses reboot. While there are some missing pieces, the fact that three of the biggest players from the band’s heyday are part of the tour make it have a “once in a lifetime” feeling. It’s no surprise the hashtag #notinthislifetime was used to promote this one-off club show. The madness all began in January when Slash, Axl Rose, and Duff McKagan announced they had signed on for a reunion. There was speculation that Steven Adler may join up with his co-original members, but that proved to be unfounded. Generally, the lineup is exactly what was announced way back in January. UPDATE 1:52 a.m.: In addition to the other members listed above, keyboardist Melissa Reese was on stage for sound effects/keyboards in what was originally Chris Pitman’s role. Not counting previous female backing singers for tours, Reese is the first female member of the band. Melissa Reese is a musician and model with close ties to the Guns N’ Roses world. Reese has been part of composing team known as Brain and Melissa since 2011. Brain and Melissa is with Bryan “Brain” Mentia who also served as a drummer in one of the rebooted lineups of Guns N’ Roses back in 2000. Together, the duo have done numerous scores including themes for Playstation Games Twisted Metal X and Infamous 2. You can read more about their collaborative project here.